Writing about education is interesting, but it can also be depressing. Sometimes it feels like being a hamster on one of those wheels. So as we close out 2015, here is a list of some good news that happened in 2015. If you have something to add, let me know! Michigan and Special Education. In Michigan, where crummy school reform has plagued the state for years, Lt. Governor Brian Calley called for a special task force to look at special education. Calley has a daughter with autism, so he is most likely sincere in this effort. Also, tireless champion for students with special needs Marcie Lipsitt, who is also the founder of the Michigan Alliance for Special Education, was appointed to this group. Pediatricians and Special Education. Pediatricians are learning about IDEA to assist students with disabilities. Maybe they can convince school reformers, who push one-size-fits-all standards like Common Core, that students with disabilities need an Individual Education Plan and qualified teachers. Courageous Chicago Teachers. Chicago public school teachers appear to be considering another strike to stand for what’s best for students. And, although I don’t know CPS union leader Karen Lewis personally, it is wonderful to see her looking so radiant and strong. New York is the Big Apple! Parents are forcing Governor Cuomo to reverse his stance on Common Core testing and teacher evaluations. Testing Opt Out in New York. Speaking of New York, this past year 20% of New York’s students opted out of taking high stakes tests. Specifically, 200,000 third through eighth graders sat out of New York’s standardized testing. This draws attention to the troubled testing industry and what it’s doing to America’s children. Success Academy’s Bubble Pops! The Success Academy in NYC has been riding high on unjustifiable praise for years. But now they are becoming the poster charter chain example of student exclusion. We are learning about how students, even with minor behavior issues, are punished and/or expelled. It is always good to see the truth come to light. St. Jude Children’s Research Hospital. This has nothing to do with schools, other than a child whose cancer is arrested, or better yet, ended, will be healthy enough to go to school. St Jude has opened the first proton therapy center for pediatrics. It is called the St. Jude Red Frog Events Proton Therapy Center and the therapy will target tumors directly without damaging healthy tissue. No matter what you believe about public schools, we all hate childhood cancer and want an end to it. Expose the ESSA Act. 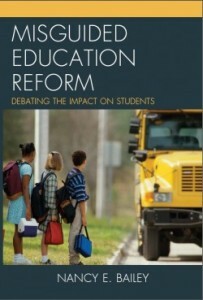 So the Every Student Achieves Act passed and many of us realize it is a lousy bill. The uproar meant people are paying attention. Unlike No Child Left Behind, I think parents and teachers will not be quite so accepting of bad policy in regard to their schools. States and local school boards will have some explaining to do when they try to foist bad reform into the classrooms, and lawyers could get some work from advocacy groups representing groups of parents and educators seeking to better the conditions for children. I hope so anyway. Students Speak Out. Back in September, students and teachers in Jefferson County, Colorado (near Denver) spent 10 days protesting a school board member’s decision to make Advanced Placement U.S. History classes into questionable patriotic content. Students spoke out on their own behalf. “Civil disorder is much of what founded this country,” said Ashlyn Maher, a 16-year-old walkout leader. Fixing Run Down School Auditoriums. Bette Midler, and Stages for Success: an initiative of Bette Midler and The Jeckyl Foundation, are raising money for crummy public school auditoriums. If any of you have ever sat in one of these places where the sound system was lousy, the roof leaked, or the chairs had gum stuck on the back of the seats, you will know that this is a worthy challenge. While the larger question is “What happened to the arts,” it is encouraging to see attention to this important problem. It is sweet to see an entertainer of Ms. Midler’s stature doing something nice for public schools. I wish more celebrities would focus on real public schools instead of Teach for America. Parents Standing Up for Public Schools. We saw parents fighting for their neighborhood public schools because they realize they are better than the charters set to replace them. In Chicago we saw a poignant hunger strike by parents who wanted to save their public school. In communities across the country, parents fight to keep their public schools from being broken up—like Carroll County High School in Maryland. Holding Politicians Accountable. While public education is still not in the Presidential limelight like it should be, the public notices when remarks are made about schools. When Hillary Clinton said we should close public schools when students are not performing above average, it went viral. Her campaign had to clarify her words. As the Presidential campaign heats up, look for more pressure on all the candidates to speak out more clearly about their agenda for public schools. America is listening. We want to know who we are voting for when it comes to education. The State of Washington and Charters. Washington State’s Supreme Court got to the heart of the charter/pubic school debate by calling charters “unconstitutional” because they don’t have an elected school board and are not accountable to the voters. This sends a positive message to other states and it says what many of us have always believed—charter schools are not public schools. Investigating For-Profit Schools. Finally! They are investigating for-profit schools. We saw a few close. Let’s hope this continues. No Art Left Behind. This is a lovely new feature by Susan DuFresne and Anthony Cody on the Living in Dialogue Blog. It emphasizes the importance of the arts in our public schools. Losing the arts is just as bad as losing recess. 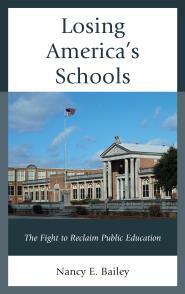 Why are America’s schools losing anything? But these features show why the arts are so important, and they include beautiful pictures of actual art by children. Let’s hope this feature helps to reinstate the arts in our schools for ALL children. Universities and Teacher Education. While an attempt is being made to take over university teacher programs with harsh “drill,” some places are fighting back. In Memphis, parents and educators probably kept the Relay Graduate School of Education from setting up shop next door to the College of Education on campus. Relay is still in Memphis, just not functioning on campus like a real college program. Dyslexia. Parents of students with dyslexia are speaking out more than ever before requesting public school services. Courageous, Talented Teachers and Principals. Courageous, talented teachers and principals continue to teach and speak out against harmful reform. My favorite posts and articles show teachers working through the harmful reforms, speaking out and still doing what they know is best for children. Great Blogs. There are many new and strong blogs, keeping an eye on the education scene and informing us all about news, or looking at education with a different perspective, that one might not see in the mainstream media. It is the bright side of social media. The Return of Recess. It isn’t everywhere, and this issue is not over, but parents in Central Florida and around the country are fighting for recess and drawing much needed attention to how abusive it is when children do not get a free break throughout the school day. I think it should be law. Walking (Waking Up) in Memphis? Could it be that there will be a real turnaround when in comes to schools in the Bluff City? Here’s to a wonderful 2016 of positive changes for our public schools and students and teachers! To those who read my blog, and those who share comments both here and on social media, and even if you don’t, very best wishes for a healthy, happy New Year! Cheers! Thank you for being so positive!! I need that. I think we all do. Sometimes when I think of the worst places in our country suffering from the deformers I get very depressed. Ground zero is Detroit. New Orleans. Ohio as a whole. Chicago. New York. Los Angeles. I’m sure there are more. But the deformers target our inner city areas that are suffering the most. Washington state’s victories have been encouraging! Happy New Year to you and yours!